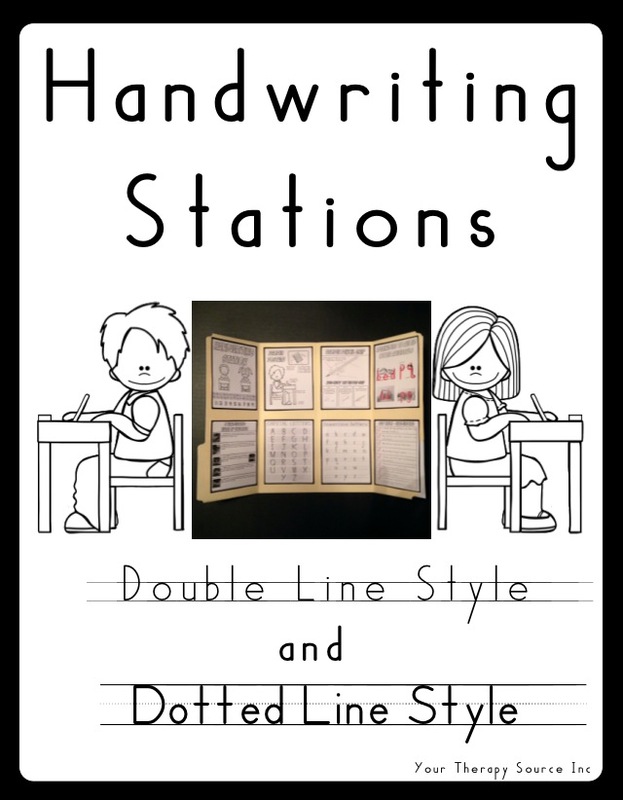 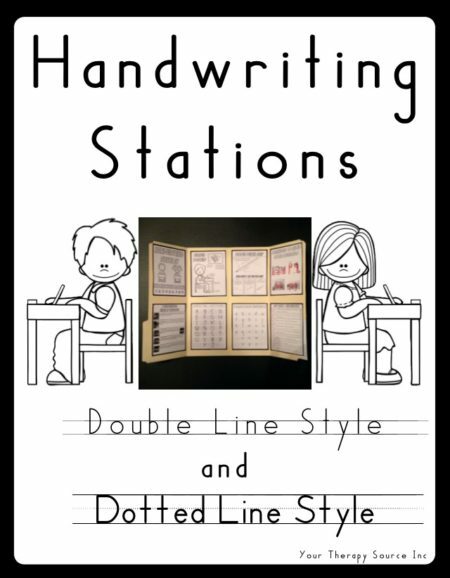 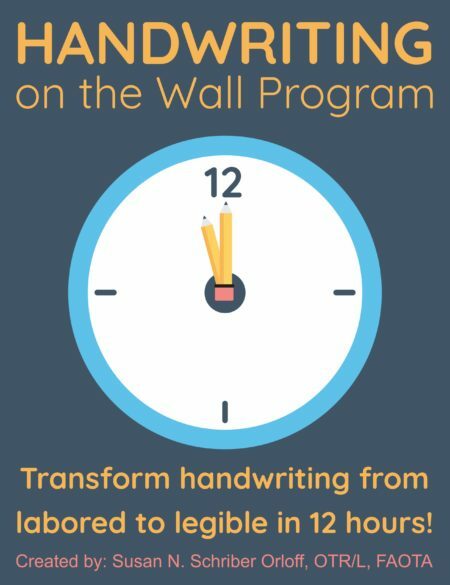 Summary: Handwriting Stations includes the materials to create a handwriting station on a tri-fold or in a folder. 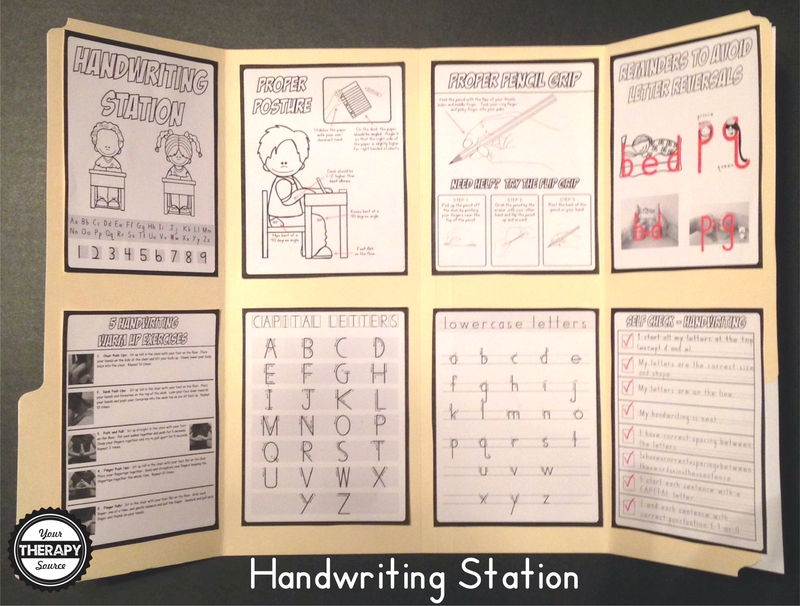 The station includes proper letter formation for capital and lower case letters, correct posture, pencil grip, warm up exercises, letter reversals tips and self check sheet. 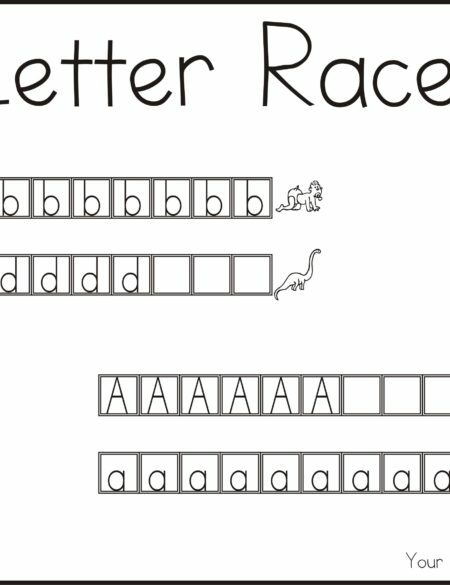 In addition, there are 27 worksheets for the alphabet and number practice (Handwriting without Tears® style and Zaner-Bloser® style). 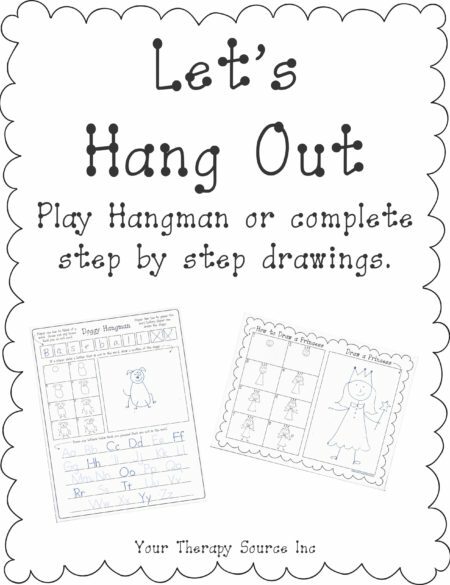 This download is great for classroom use, therapy sessions or to send home with a student. 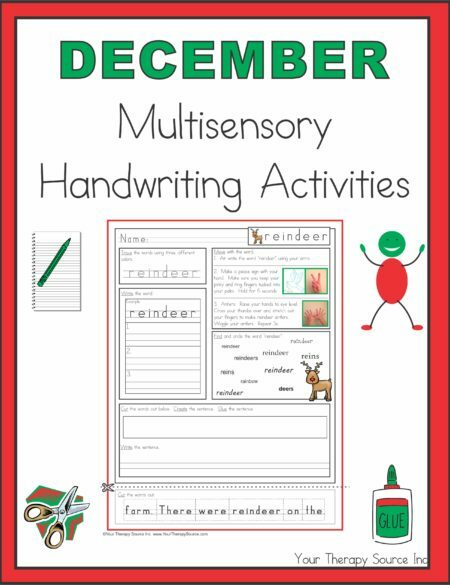 As with all our products, the activities are reproducible in print to use over and over again with all the children that you teach.